A-HOTEL.com - Luxury and cheap accommodation in Golovkino, Russia. Prices and hotel, apartment booking in Golovkino and surrounding. Located in Rybachiy, Usadba v kamishakh features a shared lounge and free WiFi. Some rooms include a kitchen with an oven. 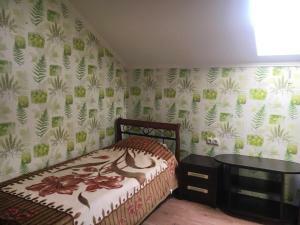 Providing a garden, Apartment on Pobedy 10 offers accommodation in Rybachiy. Free WiFi is offered. Kvartira Rybachiy is located in Rybachiy. The accommodation features free WiFi. Guest House Ostermaer is set in Rybachiy. Providing a restaurant, the property also has a garden and a terrace. "Росситтен" has barbecue facilities and a garden in Rybachiy. The property features a bar, as well as a restaurant serving local cuisine. Boasting a garden, Guest house on Pervomayskaya 11 is set in Rybachiy. The rooms come with a flat-screen TV with satellite channels. 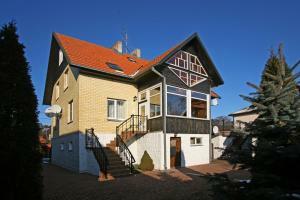 Located in Rybachiy, this holiday home is within a 4-minute walk from the Curonian Lagoon. Guests benefit from free WiFi and private parking available on site. Apartment on Pobedy 10 is located in Rybachiy. Guests staying at this apartment have access to a fully equipped kitchen. Zeleny Sad is located in Rybachiy. This guest house offers free WiFi access, a shared garden and a sauna. Located on the Curonian Spit, 2 km from the Baltic Sea, this hotel offers an outdoor swimming pool, games room and is opposite a traditional sailing ship. It is surrounded by Kurskaya Kosa Nature Park. Located in the ecological environment of Curonian Spit, in Rybachiy Village, Hotel Traktir combines rustic style with modern design. It features a restaurant, garden and 24-hour front desk. Featuring a garden, Usadba Chaikov Prud is set in Rybachiy and also provides a shared lounge and a bar. All rooms boast a flat-screen TV with satellite channels and a private bathroom. Located in Morskoye, Diana Guest House offers a garden and children's playground. Boasting a 24-hour front desk, this property also provides guests with sauna and small cafe. Located within 900 metres from the sandy Baltic Sea beach, this hotel in Morskoye village offers a sauna and table tennis. It provides bright rooms with a flat-screen TV. Set in Morskoye, Ecolodge Zen has barbecue facilities, a garden and a terrace. The accommodation offers a shared kitchen, a shared lounge and organising tours for guests.